Last Saturday I treated myself to the “chocolate brownie a-la-mode” pedicure at Spa in the Valley. It was divine! However, as a result, I was seriously jonse-ing for a real brownie when I got home, but I had no brownie mix in the house. 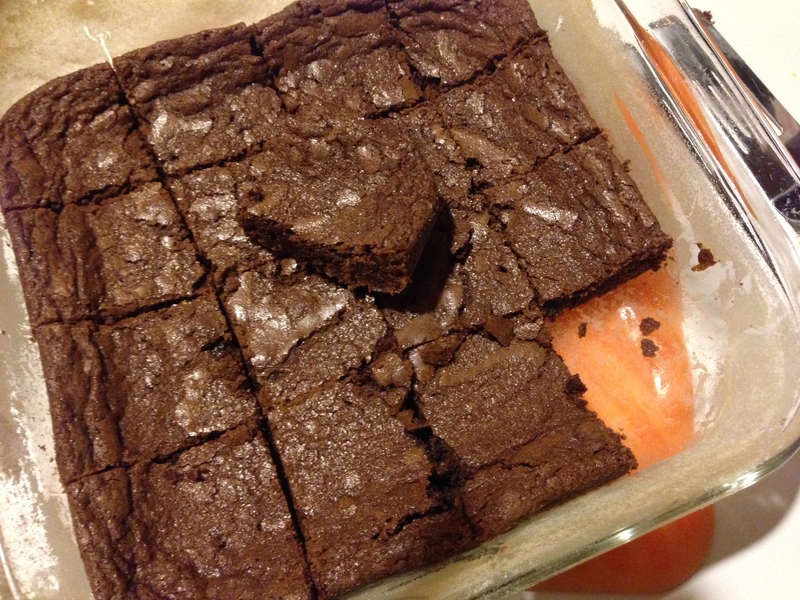 And after this recipe, I don’t know that I will ever buy box brownies again! These were incredibly easy and quick to make and they came out delish. Thank Allrecipes. Enjoy! Bake in preheated oven for 25 to 30 minutes. Do not over-cook. They look delicious. I’ve been craving brownies, maybe I’ll give these a try. Thanks!